If you think you've seen the best ball magic that exists, you're in for a wonderful surprise with Ball Boy! This new DVD provides fresh and strong ideas, as well as in its direction. The effects are very active in all aspects! "Playing with balls in my spare time became a fun routine one by one. With the help of a great production crew, I was able to put them together to share with you." Ball Boy is a charming, fun lecture, as it is a natural routine. It will leave a strong impression on those magicians who think ball magic is no longer new - these are new routines! You'll learn five routines of 'Ball' configuration, utilizing only existing shells to create amazing tricks. And, you'll be taught five "Ball +" configuration routines with something other than a shell. 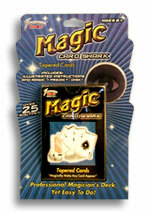 Ball Boy is creative, fun, natural, and you'll be energized to perform ball magic - enjoy!